Thaipure is the Thai Company achieving the 1st NIA national award for producing Virgin Coconut Oil from fresh coconut milk using state-of-the-art centrifugation technology. Distinct from those other conventional technique, our proprietary innovative processes take only 5 minutes with chemical-free and no heat or fermentation is involved resulting in clear, precipitation-free, mild good-odor premium quality of coconut oil. 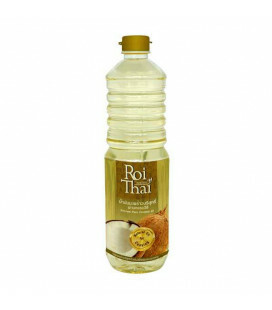 Roi Thai Coconut Oil for cooking - 100% virgin coconut oil directly press manufactured specifically for use in cooking. Clean, no sediment, with a mild odor coconut oil of the highest quality.